Let’s start with an easy question: How would you prefer to be addressed by your congregants: Rabbi Audrey or Rabbi Korotkin? I have had many names in my rabbinic career. There’s “Rabbi Audrey” to keep it simple and “Rabbi Korotkin” for those who like a challenge. At Purim you may see “Audrey, Warrior Rabbi.” The high-school boys in Skokie named me “Rabs” and the middle-school girls thought I was “The Cool Rabbi” (see Purim, above), though I understand I have to earn those titles. I’m up to other suggestions as long as they are made with affection and respect. But we could keep it simple at first. Tell us a little about yourself. Where are you from originally? Like my dad, I was born at Temple University hospital in Philadelphia and spent much time in Philly growing up with my dad’s parents, Mike and Freda. We moved all around when I was younger, because my dad, a behavioral psychologist by trade, worked a lot on government and military programs (hush hush secret), so I went to a dozen schools before college, several in Maryland. It was challenging but a great opportunity to meet lots of interesting people in different places — most significantly the first two years of high school in Okinawa and Seoul, South Korea. We returned to Maryland for my last two years of high school and I’m a grad of the University of Maryland (fear the turtle! ), with a BA in Russian studies, an interdepartmental program that allowed me to study history, politics, economics, art and architecture, literature, language, etc. I wanted to be in the foreign service, but the year I took the test they apparently (from the tenor of the questions) were looking for Chinese-speaking economists. Ah well, I fell in with the crowd at the radio station at college, WMUC, got a full-time broadcast journalism job before graduation at WBAL in Baltimore, and covered news and sports there for several years. What led you to become a Rabbi? In 1986, I was offered the job as the first Executive Director of Triple Crown Productions, to coordinate marketing for the Kentucky Derby, Preakness, and Belmont Stakes, for which I had to move to Louisville, Kentucky. That’s where I met my friend and mentor, Rabbi Stanley Miles. 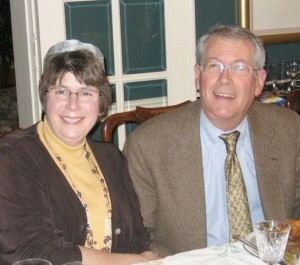 When Don moved down from Philadelphia to be with me (we’d met at the Maryland Hunt Cup timber race some years before) and we got married, we joined Rabbi Miles’s congregation and started studying in earnest. One question turned into ten, my interest grew exponentially, and a few years later, after my job was eliminated, Don encouraged me to seek out what I really was meant to do. That turned out to be the rabbinate. It was not easy for an older student (excuse me, a “non-traditional” student) to get into HUC-JIR, much less make it through. Besides the silliness like having to send them a high school transcript it’s just a different style of learning than for people 20 years younger than me. But I worked hard and was a good student. I listened, I applied my knowledge, and hopefully my life experience melds well with the book learning to make me a good rabbi. Sounds nerdy, but study would be one of them. I was lucky enough to be admitted into a joint ordination-doctoral program at HUC before my senior year. I was away for several years when called to a full-time pulpit in Chicago, but have spent the past few years finishing up course work and now reading extensively for my doctoral exams. Dissertation sometime in the future — stay tuned! Don and I have, over the years, rescued and adopted dogs who make our house a home and make us truly a family. They usually find us – the right dog at the right time. We have three now, two Belgian Shepherd females and a boy dog who’s a goofy hound mix. I love to knit in the evenings to keep my hands occupied while we watch sports or other things on TV. I take odds and ends of yarn and make scarves and hats for shelters. What’s your favorite movie/ TV Series? I’m a big fan of “Dr. Who,” the British sci-fi series. The Doctor has a great affection for the human race, seeing through our faults and failings and bringing out strength and courage in people. He’s an optimist about our planet and our future when we tend to be pessimists. Plus his spaceship/time machine is an old British phone box, which is very cool. I watch a lot of baseball and football, too. Huge, obnoxious Steelers fan, no great baseball loyalties as long as the game is good and the pitchers don’t take twelve minutes between pitches. Yes, I like the DH; no, I don’t think the All-Star Game should determine the World Series rules. As for movies, I guess if I were on that proverbial desert island without NetFlix, I’d have with me something romantic (“Casablanca”), something funny (“Airplane”), something adventurous (“Adventures of Robin Hood” with Errol Flynn), something animated (classic Warner Brothers cartoon shorts) and something charming (“The Princess Bride”). What led you to the Altoona area? When I was at a full-time pulpit in Chicago, Don and I left the stress behind by coming to visit his cousin Eleanor and her family in Tyrone. It was so quiet and relaxing – a great tonic. We decided to buy a house, as an investment and a renovation project, and now it’ll be our full-time house. We love being close to Don’s family, and much of mine is in the DC-Baltimore area, only a couple of hours away. We’ve always enjoyed everywhere we’ve lived, but we want to be near family now. It was just beshert — fate — that the Temple was potentially looking for a rabbi at the same time. What is your denominational history? How were you raised? I grew up in the DC area during the Vietnam War era, and my family was always involved in the anti-war movement. We were actually connected into a Unitarian Church for that reason, though both sides of the family were Jewish and had immigrated from Russia and Poland beginning in the great migration of the 1880’s. I was the oldest of four kids, raised totally assimilated from a Jewish perspective, until my dad, Arthur, got remarried while I was in high school and now I was the oldest of 7. My new mom, Carol, was raised in the Conservative Movement in DC, so I guess the compromise was to join a Reform congregation. I wasn’t much interested at that point, of course, because, hey it’s high school — why would I go to my parents’ temple? Mom wasn’t very successful getting me to be Jewishly involved on campus or after college while I was building my career. It wasn’t until Don and I started building a life together that we gravitated toward Judaism, Reform Judaism in particular, as the focus of our religious and spiritual life. I didn’t have the experiences that many of my younger rabbinic classmates and colleagues had – religious school, Jewish camping, studying in Israel. On the other hand, I never developed any sort of stereotype or pre-conceived notion of who and what a Rabbi should be or say or do. It’s allowed me to evolve in my own way, based on my own unique experiences, interests and abilities. I’m firmly and decidedly a Reform Jew. I believe in the movement’s commitments to social justice, egalitarianism and outreach. I feel comfortable praying Reform liturgy and teaching Reform positions. And I have a great deal of respect for my professors at HUC who fuse modern scholarship with traditional texts. Judaism rests on three major categories: God, Torah and Israel. How do you currently understand each of these terms? I was recently studying parashat “Emor” in the book of Leviticus and came across an interesting verse in which God says, ” You shall not profane my holy name, v’nikdashti betoch b’nai Yisrael, ani Adonai m-ka-deesh-chem, “so that I shall be made holy among the children of Israel — I, Adonai, who have made you holy.” The Torah presents this relationship as a two-way street: God has made us holy through what we have been given, and we make God holy by fulfilling that mission. I think that really summarizes, for me, the relationship among God, Torah and Israel. I wouldn’t go so far as to say, as some do, that humans created God rather than God created humans; there’s just too much that happens that makes me believe a powerful being has an unseen influence in our lives. But I do believe that God only “exists,” so to speak — that is, God only becomes real and important — when our language and our behavior as Jews reflects what God, through the Torah, expects us to say and do. As Reform Jews, we recognize and respect the 2,500-year-old tradition of Biblical interpretation and Oral Torah that helps us make Torah relevant, and we seek ways to meld it with modern understandings of humanity and the world. The ritual mitzvot help us define and maintain our self-identity as individual Jews and as the Jewish people, and the ethical mitzvot provide guidelines for our behavior and respect toward all of humanity, all creatures and all of nature. While your interests are wide is it often true that teachers have an essential message they wish to impact. Is that true of you? And, if it is, what is your core teaching? I feel a great deal of joy in Jewish learning, praying, and doing. I try to impart that joy to others and to help them discover what is meaningful for them in Jewish history, traditions and rituals. We shouldn’t be afraid to express ourselves. I’m trying to finish an academic paper that will be published by the Freehof Institute for Progressive Halakhah. The preliminary outline was well received at the CCAR conference in March. It challenges traditional Jewish legal assumptions about the definition of “healing” and expands that definition to encompass acceptance of prophylactic treatments such as preventative surgery to prevent breast cancer — an especially important topic to us given the predominance of genetic pre-disposition to cancer in women of Ashkenazic Jewish descent. I also am now on the team of rabbis creating the new High Holy Day prayer book to replace Gates of Repentance. My role is as leader of the team that will create the “study texts” for the mahzor; they will appear as meditations at the beginning of the prayer book, before various sections of prayer, as left-hand page “meditations” or teaching opportunities, and perhaps even in a companion volume. We will be combing traditional texts such as Talmud and Midrash as well as the wide range of traditional and contemporary prayer books. I’m still working on my Ph.D. at HUC-JIR in Cincinnati. Eventually, I’ll get around to finishing my comprehensive exams in Talmud, Codes and Liturgy and move on to dissertation. 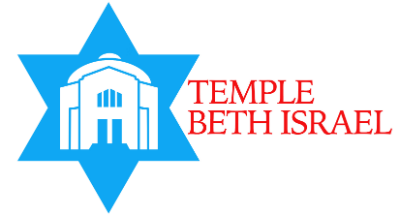 But my primary focus right now is preparing to serve as Temple Beth Israel’s spiritual leader, getting to know the congregation, its people and its “minhagim” (customs), and how I can best serve the community. What is your vision for yourself, the local community and Judaism as a whole? Over the years, my most satisfying work has been in smaller congregations in smaller communities. There can be a feeling of isolation, or at least distance, from the Jewish world and the Reform movement, as well as demographic pressures. I want to bring joy and optimism, a renewed commitment to the Reform movement, and a sense of multi-generational pride to the congregation. I want to support the congregation’s work in the community and help make the Temple a visible and vigorous partner in the interfaith community. And I want to strengthen congregants’ ties with the Jewish People and Israel, possibly with a mission to Israel on the horizon. What are your views on intermarriage? Interestingly, this was probably the number-one topic of the CCAR conference in March: how we can make our congregations as welcoming as possible, while maintaining the Jewish integrity of our leadership and our ritual life. It’s an ongoing struggle for rabbis and lay leadership, since the various positions and platforms put out by the Reform movement are not binding. Most non-Jewish partners I’ve worked with understand and respect the fact that there are generally guidelines and boundaries that reserve some leadership and ritual opportunities for people who are Jewish by birth or by choice. With this as a given, it shouldn’t prevent them from feeling at home at the Temple, from feeling wanted and appreciated. I encourage conversion and have taken delight in the sizable number of non-Jewish partners and religious-school parents who have chosen to convert under my guidance because they find Judaism so welcoming and embracing. It’s not for everyone, but it can’t hurt to ask! Increasing the connection and strength of our membership is very important to the Temple. How do you see yourself working toward that goal? Part of my initial challenge will be working with the lay leadership, meeting and making connection with congregants and understanding why the temple is important to them and how we can make it more important to them. Together we also can further publicize the congregation, taking advantage of any opportunity to showcase who we are and what we do to the broader community, and drawing the interest of potential members who need to see us in action. I’ve already been tremendously impressed, though, by the self-sufficiency and strength of identity the congregation already has, given the challenges of the past several years. And the Holzers’ new “havdalah” program for attracting younger unaffiliated Jews is a great way to reach people who wouldn’t necessarily be inclined to be “joiners” at this time in their lives. I think it will make a difference to people just having a pastoral presence in the community — a rabbi who will make hospital visits, is available for private counseling, and has an “ownership” interest, if you will, in our community. How might you increase our attendance and participation in Temple events? Although we all are one Temple family, there are smaller demographic groups within the congregation that contribute significantly in unique ways. 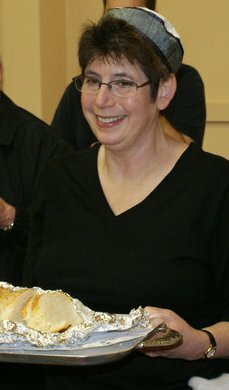 We can incorporate that into our Friday night Shabbat experience by, for example, inviting religious school students and families to take part; by honoring congregants on significant birthdays, anniversaries, and milestones of Temple membership; by honoring the volunteer efforts of people in the Temple and the greater community; and by having special speakers and social events surrounding worship that would attract people who might not ordinarily come. Just as an example, when the movie “Sideways” came out a few years ago, I developed a special worship service with guest musicians, followed by a pinot-noir tasting and canapé reception at the Oneg; it brought a lot of empty-nesters who hadn’t been coming to services, which was a key demographic for that congregation. We may need to review and revise the liturgy and music we’re now using to make sure it’s meaningful for people, and I need to make sure my sermons and Torah commentaries are well thought-out, timely and touch the heart as well as the head. I will surely be creating special liturgies, as well, for various events throughout the year. We also should, I believe, infuse tzedakah, g’milut chasadim, and our commitment to social justice into all events, including worship and study, and provide regular opportunities for congregants of all ages and interests to work toward the betterment of the community. Although we have a combined Synagogue/Temple Sunday School, there is regrettably not much further interaction between the two congregations. What would you propose to increase fellowship, goodwill and cooperation between our congregations? Combining our resources in liturgical settings can be difficult, but surely we can look at other venues: combining resources and people power for community mitzvah activities; jointly inviting speakers to the Jewish community; and co-teaching by clergy outside of the religious school. I’m sure we also can work through and with the Federation to create a sense of cohesion. For the past two years, we’ve had a wonderful Torah study/Adult Ed program on Saturday mornings, enjoying not just member involvement, but from outside the community as well. Do you plan to continue this program? Absolutely! Just as, at Passover, we encourage “all who are hungry” to come and eat, we want all who are hungry for knowledge to come and learn.